The Izhora plant Design Bureau led by N. I. Dyrenkov launched, in early 1932, at its own initiative, a study for a new model designated BAI (BroneAvtomobil Izhorskij). This took place after some experience was gathered on the “Ford Timken” D-13 armored car chassis. This vehicle featured a 6×4 chassis developed from a marriage between a rear Timken truck axle with a short Ford A chassis. In parallel, the BA-27M was also developed. 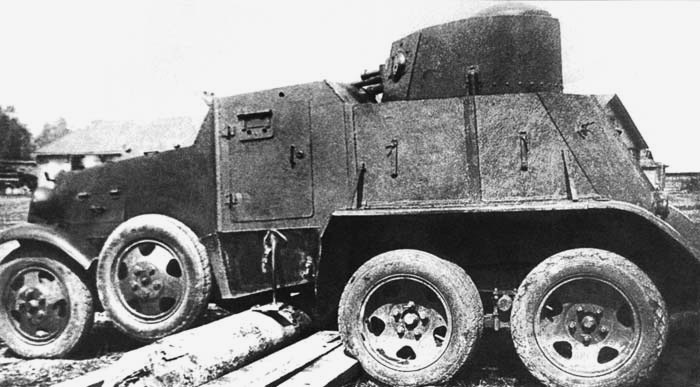 In the end, this model was the starting point of the BA series of heavy armored cars, which will encompass, until 1941, the BAI, BAI-M, BA-3, BA-6 and BA-10. 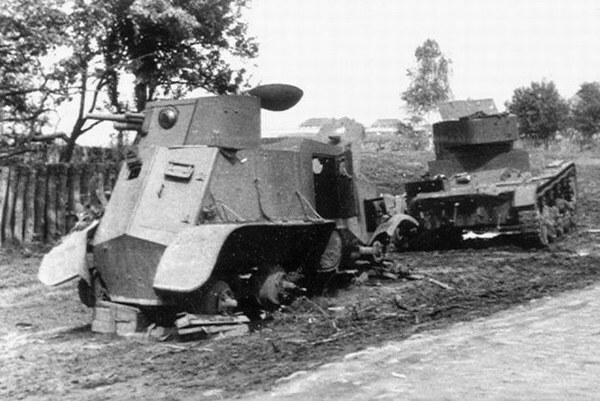 The BAI had a welded body assembled from 4-8 mm (0.16-0.31 in) thick armor plates attached in 10 points to the chassis. The rear part of the Ford Timken original chassis was shortened by 400 mm (15.7 in), the bureau managing to provide a more compact design compared to the previous D-13. The BAI towered 3.86 m (12.6 ft) above the ground. The fighting compartment floor was lower than the front part of the vehicle. 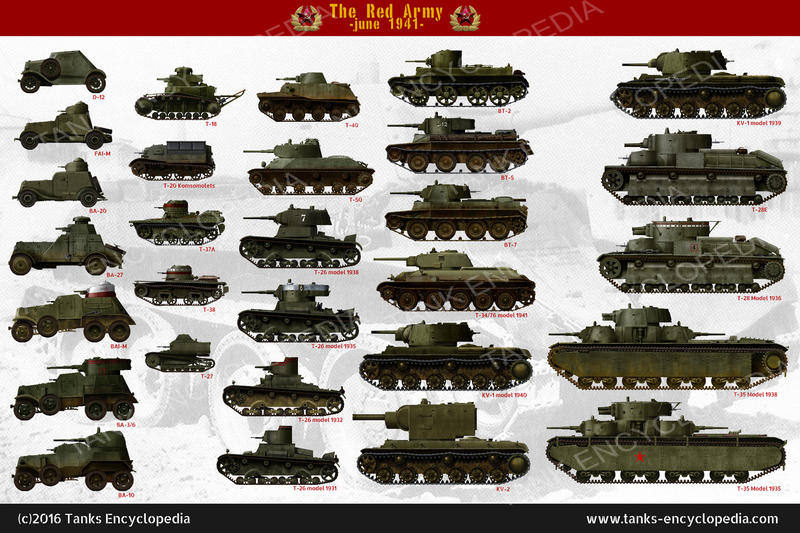 This solution helped reduce the overall height and subsequently applied to all the Soviet medium armored vehicles which were built in the 1930s. The BAI had three doors, two on the sides and one at the stern. The driver had a hinged armored hatch with viewing slot in the front hull, and others were located in the side doors. Above the driver and hull-gunner (co-driver), another hatch was placed, used for ventilation and air surveillance. The commander was located in the small turret, sitting on a suspended canvas belt. He had a set of three hinged armored covers with slits in the turret, with armor flaps. The armament consisted of a 37 mm (1.47 in) Hotchkiss (PS-1) QF light gun and and 7.62 mm (0.3 in) DT machine gun installed in the frontal slope of the turret. Another DT, installed in a ball mount, was manned by the co-driver in the front hull. Ammunition consisted of 34 gun rounds stored in canvas pockets inside the turret and 3024 cartridges stored in 48 discs, packed in racks, installed on the side walls of the fighting compartment, while others and tooling took place in additional stores under the floor. The BAI had a Ford 40 hp engine with a crash gearbox and dual drive. The motor block was protected by an armored hood with shutters for radiator ventilation. The chassis frame was reinforced by a cross bar under the front suspension. The spare wheels, mounted after the front wheels, could rotate freely. This allowed them to play the role of additional rollers on soft ground. To further improve all-terrain performance, the BAI’s tires could be equipped with snow tracks on the rear axles, the operation being done in 8-10 minutes by two crew members. Each track weighed 71 kg and consisted of 24 links, 780 mm (30.7 in) long and 310 mm (12.2 in) wide. They were stored on the rear mudguard when not in use. 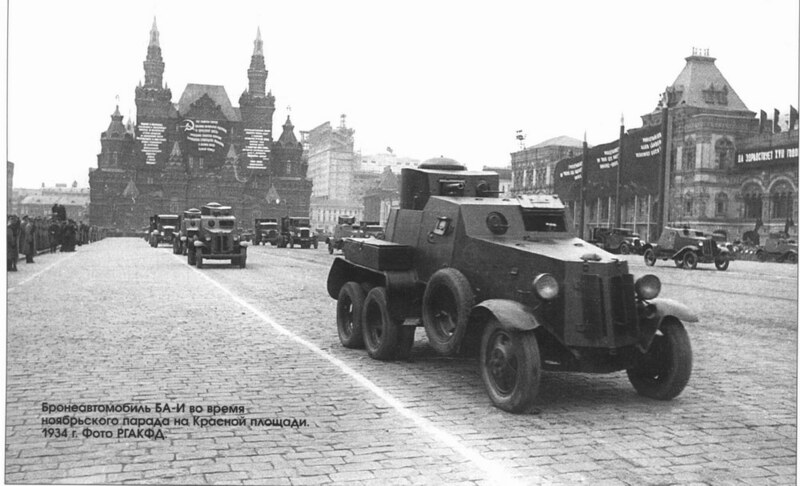 This system was so successful that it became a Red Army standard for armored cars. The electrical equipment depended on a single circuit with 6V current. This was given by a 3 STP-80 GB battery coupled to a GM-71, 100 watt capacity generator. At the first factory trials, the BAI showed good performance. On August 5, 1932, they were at the NIBT polygon performing a hard 980 km (610 mi) test course. Its maximum road speed was 60 km/h (37 mph), while the range was deemed sufficient at cruise speed, as was the vibration level when firing or the waterproof body. The only modification requested by NIBT representatives was to find a way to get hot air from the engine to the driver compartment. The original production plan was to involve Izhora plant, but due to the large orders envisioned and lack of capacity, the order was eventually placed with the Vyksa plant in the Gorky area. The representatives from the latter reassured the authorities of their ability to deliver 320 BAIs within a year and, during the next years, a total of 2500 vehicles of different types. However, due to the lack of tooling equipment, able personal, delays in the delivery of the technical blueprints, at the end of 1932 the plant was still unable to undertake the production. The 1933 figure of 2,500 vehicles was adjusted to 400, of which 300 were BAIs and 100 light FAIs. This too proved overoptimistic and, in early September 1933, the annual program of Vyksa reported only 28 vehicles delivered. At the end of 1934, when production ceased, the figure came out to only 90 vehicles built. Engineer Vazhinsky of the UMM RKKA developed an experimental adjustable steering for the BAI in 1933. The same year, tests were performed with a 37 mm (1.46 in) Kurchevsky recoilless AT gun, placed in the turret, which was modified for the purpose. Tests were carried out at Kuntsevskoye and the idea was abandoned. In 1934, the factory tried the BA-IZD with a rail kit. In 1935, a single vehicle received a 71-TK-1 radio with a new hull aerial antenna. 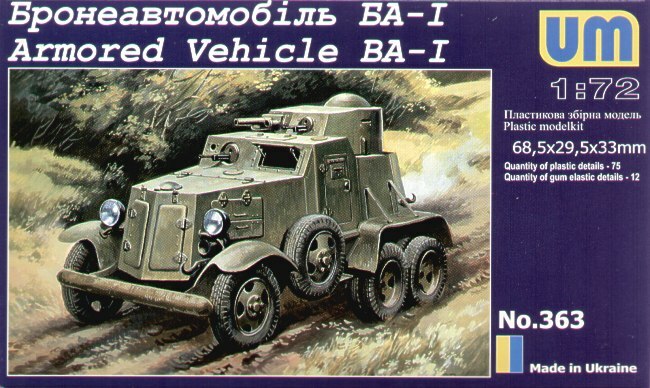 Between 1938-1940 all remaining vehicles were converted to the GAZ-AAA chassis as the BAI-M (for modernized). 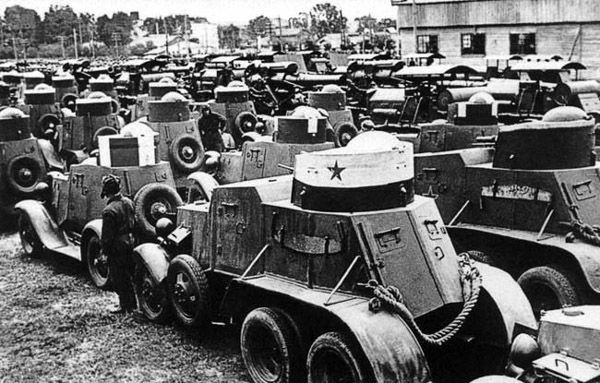 In the summer of 1938, the armor repair base number 6 in Bryansk fitted a BAI body on the new GAZ-AAA chassis. The new 1937 frame had the rear shortened by 300 mm (11.8 in). The front axle was strengthened and the course amplified for better off-road performances, while the roadwheel tires were replaced with bulletproof ones. 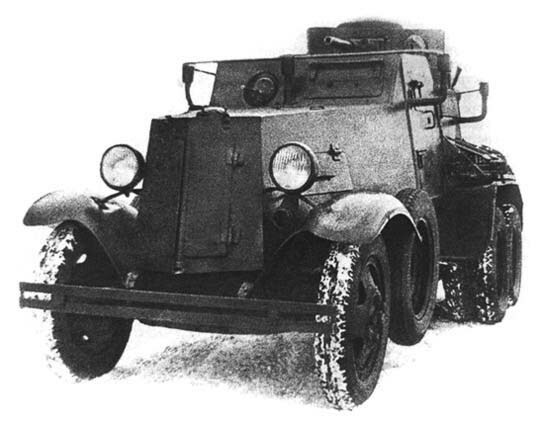 The electrical and other mechanical parts also came from the GAZ-AAA, and an additional 18 liter fuel tank was added. Although shorter, the BAI-M was heavier (4680 kg vs 3860 kg). Top-speed values remained unchanged, whereas the range was doubled (286 km vs 140 km). The BAI-M was first tested at the NIBT range in January-March 1939, on a 3120 km (1940 mi) course, including 33 km (20 mi) on snow, and entered service in October 1939. By the summer of 1940, the upgrade of the entire fleet had been completed. Most vehicles were sent sent to the Far East, remaining there until 1945 as part of the Trans-Baikal and Far Eastern military districts, facing Japan, a quiet affectation. The remainder were mostly destroyed in the summer of 1941, and at least one was captured and reused by the Germans. The D-8 for comparison, in 1931. BAI in the early 1930s. BAI-M in the Far East, 1941. German captured BAI-M in the summer of 1941 or 1942 (from photo references). BAIs during the Red Square parade, May 1934.